GAME TIME IS AT 6pm! PARKING: The entrance to the building parking garage is on Chestnut Street, just east of Raymond Avenue. There is free parking in the building, park on P1 or P3 only. There is no parking garage entrance on Corson (which goes one way) – please use Chestnut Street entrance. Two hours of free parking is also available on Chestnut Street. Come join us for our THIRD ANNUAL POKER TOURNAMENT to benefit the TechGyrls Program at the YWCA Pasadena Foothill Valley Chapter. Please buy your tickets early to get bonus chips! All donations including your buy-in entries are tax deductible. YWCA is a 501(c)3 nonprofit organization. EIN 95-1644059. TechGyrls is a part of our Girls Empowerment After School Programming for young girls ages 10-14. It is designed so girls will be exposed to new and cutting edge technology and be inspired to pursue STEM (Science, Technology, Engineering, and Math) related coursework and careers. Our girls get to engage in hands-on activities including 3D printing with FlashForge Printer, creating animations, and exploring science through our hands-on experiments. Watch the video below to hear from some of our participants and their parents. Our Planning Committee includes: Angeline Chen, Ricky Biel, Rick Ramirez, Sean and Monica Andrade, Ulisses Sanchez, Antonio and Olivia Villegas, Jeff Baietto, Jor Law, Dawn Kim, and Mitchell Tsai. The Poker tournament will be run by a professional company: West LA Poker. YWCA’s Big Deal Poker Tournament Final Hand from Haydel Biel & Associates on Vimeo. Tickets are $40 to come and watch and $100 to play. If you purchase your tickets before November 15, you will receive $350 in chips! You can purchase tickets here. Free parking is available on the 3rd Floor as well as local street parking. 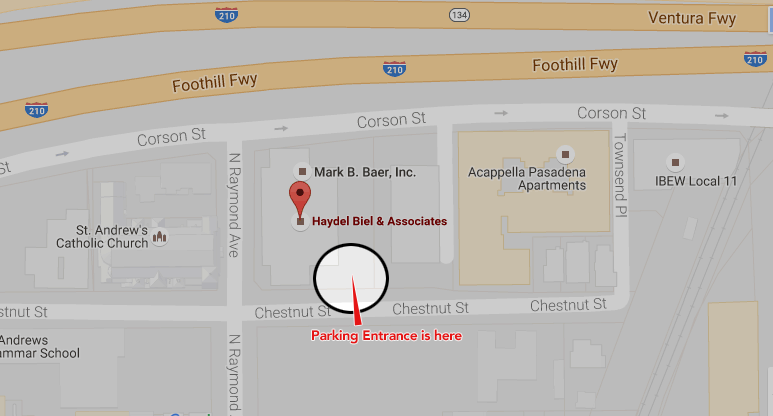 The entrance to the building parking garage is on Chestnut Street, just east of Raymond Avenue. There is free parking in the building, park on P1 or P3 only. There is no parking garage entrance on Corson (which goes one way) – please use Chestnut Street entrance. Two hours of free parking is also available on Chestnut Street.